After agreeing to a deal with the free agent lefty starting pitcher a couple of days ago, the Washington Nationals today announced the signing of Patrick Corbin to a six-year, $140 million deal. Corbin now joins Max Scherzer and Stephen Strasburg in the Nationals starting rotation. With their own rotation headed by a pair of talented right-handers in Aaron Nola and Jake Arrieta, the Philadelphia Phillies are known to be looking for a left-hander as well. The Phillies appear to have been one of the finalists for Corbin. Jon Heyman of Fancred Sports reported “five years at what is believed to have been a bit over $100 million” as the Phillies offer. The Phillies have not had a southpaw in their rotation since Adam Morgan made 21 starts in the 2016 season. They haven’t had an effective left-handed starter since Cole Hamels was dealt in late July 2015. Having lost out on Corbin to a division rival, where might Phillies general manager Matt Klentak turn next in his search? There are a handful of remaining left-handed starting pitchers who have each been linked to the Phillies in recent weeks. Each one comes with his own question marks and challenges in bringing them to Philadelphia. Let’s examine a few of the better options. The biggest name is that of San Francisco Giants veteran Madison Bumgarner. The 29-year-old helped lead the Giants to three World Series titles earlier in this decade, and was the Most Valuable Player of the 2014 Fall Classic. Bumgarner made four straight NL All-Star teams from 2013-16, finishing among the top 10 in NL Cy Young Award voting each of those seasons. He also knows how to handle a bat, having blasted 17 career home runs and won a pair of Silver Slugger Awards. After missing the first three months of the 2018 season with a broken hand, Bumgarner returned to make 21 starts. The North Carolina native is owed just $12 million for next season after which he will become a free agent, so there is not a big contract commitment. However, he would not come cheap as far as the price to land him. Giants new GM Farhan Zaidi is likely to ask for a player/prospect combination with some real value. It might take something like an Odubel Herrera and Adonis Medina package. Assuming that Corbin was free agent pitching ‘Plan A’ for Klentak, perhaps the ‘Plan B’ is named Dallas Keuchel, who turns 31-years-old on New Year’s Day 2019. Keuchel was the Houston Astros seventh round pick in the 2009 MLB Amateur Draft. He has spent his entire seven-year big-league career in Houston, and was a key member of the 2017 World Series champions pitching rotation. 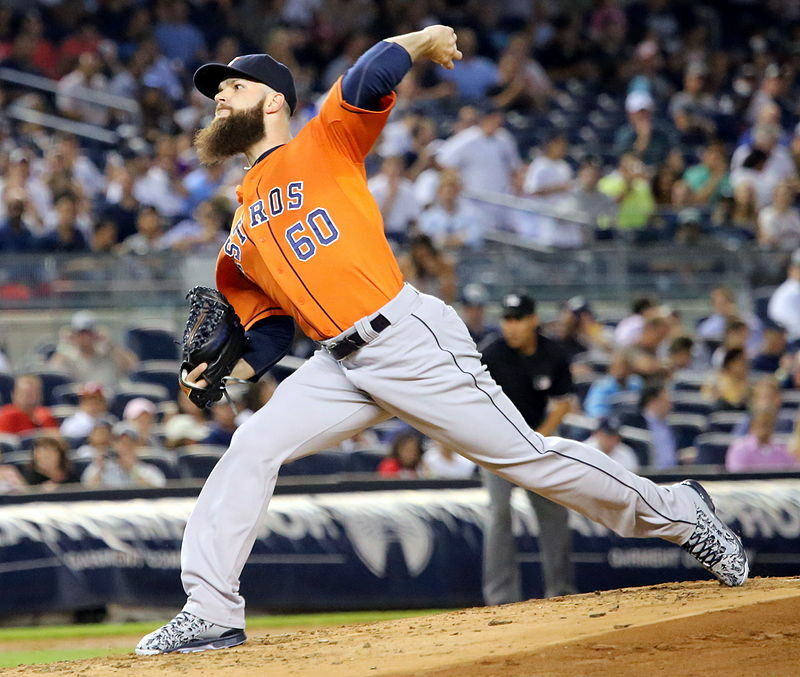 Keuchel has a 76-63 career record with a 3.66 ERA, 1.250 WHIP, and 3.72 FIP mark. The Oklahoma native is more of a typical crafty left-hander than a power pitcher, with career 2.76 K/BB and 7.2 K/9 marks. The 2015 NL Cy Young Award winner has won a dozen or more games in four of the last five years, is a 2x NL All-Star, and has won five Gold Glove Awards including this past season. 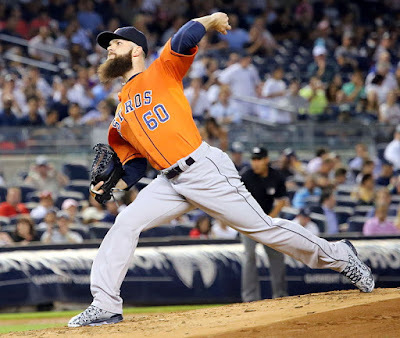 It is believed that Keuchel will be looking for a four-year deal at an $80 million total. While that is less than Corbin’s total cost, it still takes him out to age 34. The Phillies supposedly balked at a sixth year on their Corbin offer, which would have been his age 34 season. Any of Major League Baseball’s 30 teams who might be interested can now negotiate with lefty pitcher Yusei Kikuchi during a window that closes on January 5, 2019. He will surely sign prior to that date, and I wrote last month here at Phillies Nation that the Phillies are believed to be one of the teams seriously involved. Kikuchi is 27-years-old, and will turn 28 next June, so a signing team will get him for his prime years. He debuted at age 20 in the Australian Baseball League before making his Japanese Pacific League debut later that same year. Over his eight pro seasons, Kikuchi has gone 74-48 with a 2.81 ERA and 1.177 WHIP. He has allowed 838 hits over 1,035.1 innings across 163 games, 158 of those as starting assignments. Kikuchi has registered a 2.43 K/BB mark and has struck out exactly eight batters per nine innings. 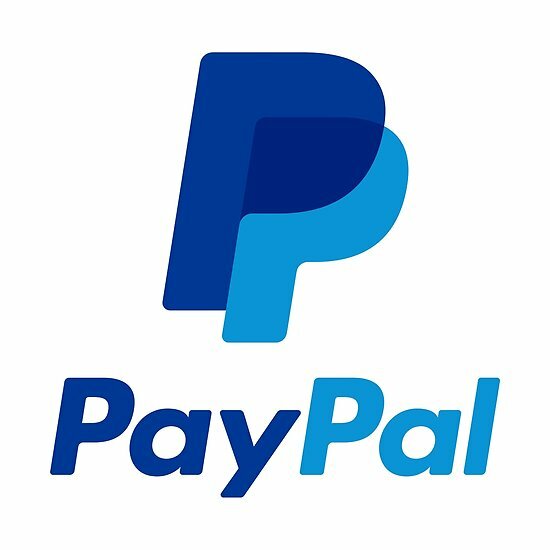 On top of whatever actual contract value a team such as the Phillies might work out with Kikuchi, they would also be obliged to pay what amounts to a 15-20 percent posting fee to his Japanese team, the Seibu Lions. I have seen a wide variety of potential contract possibilities for Kikuchi that seem to average out to about five years and $50 million total. There are a number of talented starting pitchers remaining available on the free agent market. Among left-handers with starting experience most likely to be of interest are two who formerly were Phillies property: J.A. Happ and Gio Gonzalez. Happ was the Phillies third round pick in the 2004 MLB Amateur Draft and pitched with the club from 2007-10, including a 2009 season in which he finished as runner-up in the NL Rookie of the Year voting. Happ was dealt to the Houston Astros along with a pair of prospects in the deal that brought Roy Oswalt to the Phillies. Over a 12-year career, Happ has gone 109-82 with a 3.90 ERA and 1.309 WHIP. He was outstanding down the stretch last year after being obtained in trade by the New York Yankees from Toronto. Happ went 8-0 with a 2.69 ERA, allowing just 51 hits in 63.2 innings with a 63/16 K:BB ratio over 11 starts. Gonzalez was the first round pick of the Chicago White Sox in the 2004 MLB Amateur Draft. He was traded to the Phillies in December 2005 as the player to be named later in the deal sending Jim Thome to Chicago in exchange for Aaron Rowand. Almost exactly one year later the Phillies sent Gonzalez back to the White Sox as part of a deal in which the two teams swapped starting pitchers, Gavin Floyd going to Chicago and Freddy Garcia coming to Philly. In January 2008 the Chisox included him in yet another deal to bring Nick Swisher from the Oakland Athletics. It was with the A’s that Gonzalez finally broke into the big-leagues from 2008-11. Following a 2011 season in which he was an AL All-Star, Gonzalez was dealt for the fourth time his career. This time the A’s sent him to the Washington Nationals as the key piece that brought back a four-player package. With the Nationals, Gonzalez became a rotation mainstay. From 2012 through late this past summer he compiled an 86-65 record with a 3.62 ERA and 1.283 WHIP. He was a 2012 NL All-Star when he finished third in NL Cy Young voting. Happ is now 36-years-old. Gonzalez is 33-years-old. You might be able to get either pitcher on a two-year contract at something along the lines of $20 million total value. Among the available right-handed rotation options the most attractive is probably another former Phillies property, Charlie Morton. How much the Phillies might be willing to spend on a starting pitcher in the free agent market might depend on how much they commit to improving their offense in that same manner. The Phillies are believed to still be among the front-runners for both outfielder Bryce Harper and infielder Manny Machado. That could complicate their making a move on a big-ticket arm. However, it apparently didn’t slow them down from going after Corbin. 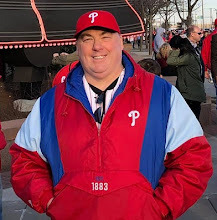 Originally published at Phillies Nation as "Phillies still want a lefty starter after losing out on Corbin, so who is available?"